Balak, the king of Moab, summons the prophet Balaam to curse the people of Israel. On the way, Balaam is berated by his donkey, who sees, before Balaam does, the angel that G‑d sends to block their way. Three times, from three different vantage points, Balaam attempts to pronounce his curses; each time, blessings issue forth instead. Balaam also prophesies on the end of the days and the coming of Moshiach. The people fall prey to the charms of the daughters of Moab, and are enticed to worship the idol Peor. When a high-ranking Israelite official publicly takes a Midianite princess into a tent, Pinchas kills them both, stopping the plague raging among the people. No one can contradict Hashem, the creator of the universe and everything in it. They might try and try and try but of course the truth is the truth. Some of us Some of us are capable of being like Baalam. daughters of Moab Parsha Balak is more than just the experiences of Balak. It is about the daughters of Moab also. In the modern day there are many relationships consisting out of two people of whom ONLY one is of the Tribe of the G-d of Abraham, Isaac and Jacob. Was Moshe not in such a relationship also? No sin in such a modern relationship AS LONG AS this relationship does not entice you to leave or alter your belief and trust in G-d.
Balak I like your comment Mark from Montreal. comment for Yaakov Yaakov wrote: "I would like to point out that G-d would not allow Balaam to curse Israel, but Balaam did introduce the sin to the Jews which allowed them to curse themselves." shoftim 8.27: And Gideon made it into an Ephod, and he set it up in his city, in Ophrah; and all Israel went astray after it there; and it became a snare to Gideon and to his house. 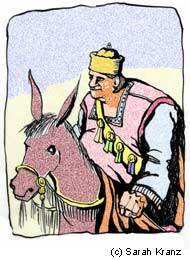 Balak, Isn't the issue that G-D opens the eyes of Balaam. So it ithe direct intevention of G-d that opens up our Spiritual hearts to receive the Holy Message.